The Original Bulldog Root Beer Review by Handy Father. Bulldog root beer is handcrafted and made with real cane sugar. It has excellent head that is long-lasting when poured into a frosted mug. Is has good, dark color like a barrel root beer. Bulldog root beer has a sweet and vanilla flavor. It has that vanilla bean bite with a long-lasting vanilla flavor. “Unleash the taste™”. No bulldogs were harmed in the making of this bulldog root beer review. We give the Bulldog Root Beer Review a score of 3.25 out of 5 stars because of the decent root beer flavor, and the quality ingredients. “Bulldog root beer is a non-alcoholic beverage.” The bottle clearly states the non-alcoholic nature of this soda, probably because the label is so nice. It has an appealing design like you might find on the side of an artisan beer. Ingredients: Carbonated water, cane sugar, honey, maltodextrin, natural and artificial flavors, sodium benzoate, real vanilla, phosphoric acid, salt. 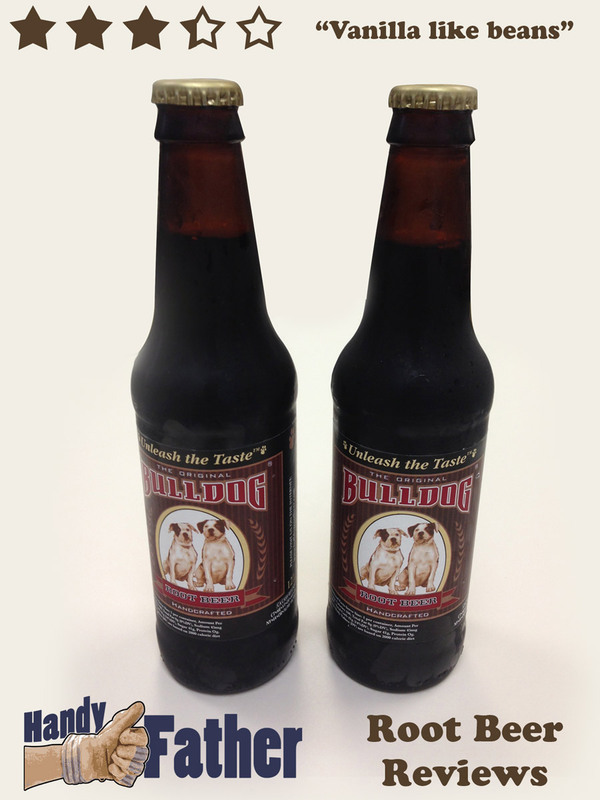 Bulldog root beer is brewed and distributed by Orca Beverage Soda Works out of Mukilteo, WA. Once you’ve tried it, give your Bulldog Root Beer Review below or tweet @HandyFather.